Hello, my fellow slashers! The 2.6.5 PTR just went live not to too long ago! Also, this may be my last big blog post for a bit before our child comes so I’m going to make it count! Listed below are some of the usual stuff you want to know with a few extra images and a quick video of the new wings. I’m calling them Fel Cosmic Wings for now. NEW Cosmetic Wings – Complete Guardian. This is a new tier of reward that was not in previous seasons. Hopefully, this is but the start of more new things to come. NOTE: Since both the portrait frame and the pet were available at the same time from Season 5, this MAY be a new trend. We will have to see in the future seasons to come. Sprinter/Speed Racer – Complete Acts I through V at max level in under 1 hour. The Thrill/Superhuman – Reach Greater Rift Level 45 Solo without any Set items equipped. Masters of the Universe/Masters of Sets – Master 8 of the following Set Dungeons. As always, Leviathan has got a video out quick to help give you his understanding of the information just released. Check it out for some more in-depth knowledge. 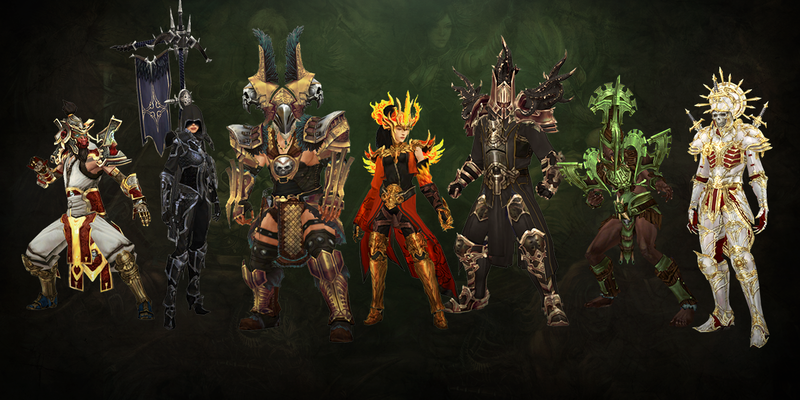 That’s it for now, keep an eye here on the Diablo site for when more information about the PTR becomes available!